The group does admit, however, to being an awesome part of rock ‘n’ roll history. The surviving members of the group — Jimmy Page, Robert Plant and John Paul Jones — have filed an answer to the lawsuit alleging that “Stairway” was stolen from the 1968 song “Taurus” by Spirit, who had played with Zeppelin on an early tour. The group’s answer to the lawsuit, filed in federal court in California, on Wednesday, is light on detail, mostly denying the allegations or claiming insufficient knowledge to answer the allegations. The group’s answer does contain one amusing passage, in which Page, Plant and Jones assert their talent and reputation. 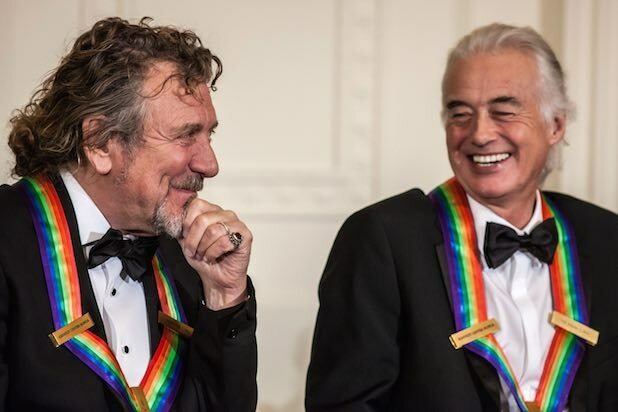 Page, Plant and Jones also admit to having played a concert with Spirit, and to using part of the Spirit song ‘Fresh Garbage” in a medley they performed during some concerts in 1968 and 1969. In September, the group sought dismissal of the suit, which was filed in Pennsylvania, on jurisdictional grounds, or else be moved to California. The group contended that none of the members had ever been residents of Pennsylvania, nor do they own property in the state. Listen to Spirit’s “Taurus” below. Page gets low while Plant belts it out. Date and location unknown. Page catches air onstage, 1975; location unknown. Plant strikes a "golden god," a precursor pose to the "blue steel," at the Ambassador East Hotel in Chicago, 1975. Hanging out backstage in a shockingly unshocking fashion, 1975; location unknown. Bassist John Paul Jones, Plant, drummer John Bonham and Page show 'em how it's done, 1975. Location unknown, but we bet it was loud. ...while Page skips the entree altogether. Dry ice, while adding greatly to a concert's dramatic aura, can also wreak havoc with a rocker's hair. Hot shots of rock gods Led Zeppelin from the new digital book "Led Zeppelin: Sound and Fury"